I love building Squarespace websites. I originally began building them for the businesses and projects I have worked on over the years but found that I enjoyed making them so much that I started doing it professionally and have since built 12 sites. Two that I am most proud of are featured below: Wholesale In a Box and Emanuela Duca. I would love to hear about your business and your project. reach out to me via email and I will get right back to you. 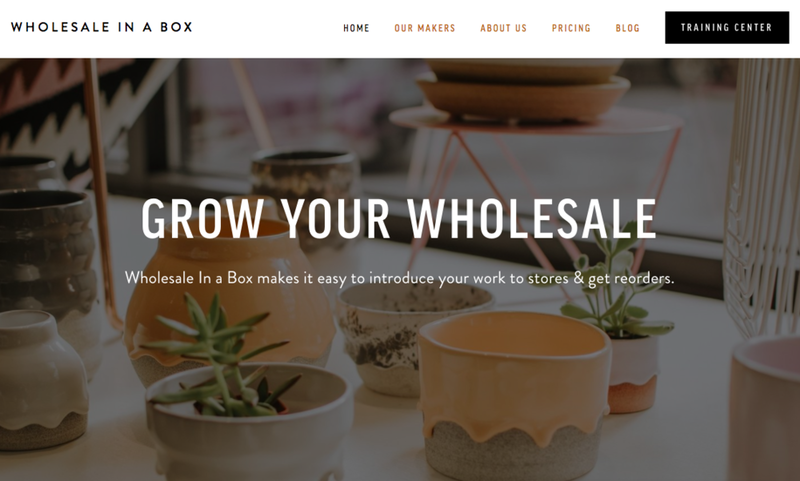 Wholesale In a Box is a service for makers, artists and designers that helps them get their products into stores. The primary goal of the website is to explain the service to prospective customers, introduce them to the wide body of resources on the site including the Training Center as well as share more about the makers that WIAB works with, so that customers can decide if it’s a good fit for them. The site also functions as a portal for the web app which allows makers to login and track their outreach to stores. Originally from Italy and now based in the Hudson Valley, NY Emanuela Duca is a fine jewelry designer. She exhibits regularly at retail and wholesale shows and has several dozen wholesale accounts. Her goal was to achieve a modern, minimal and clean website that represented her work to prospective wholesale buyers and that also had an e-commerce section to sell direct to consumers.